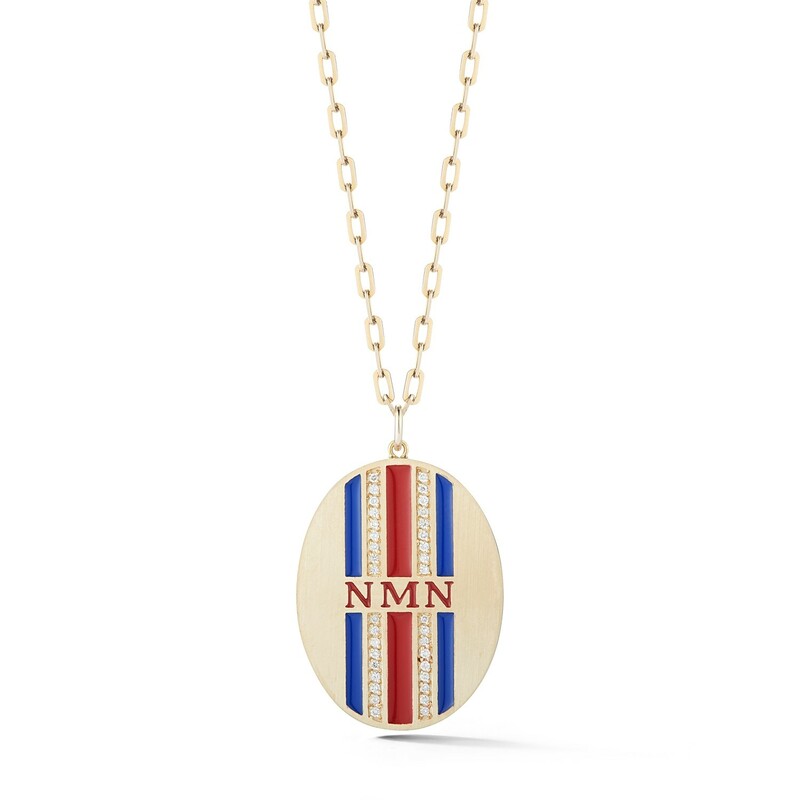 Our double diamond striped personalized medallion consists of two meticulously set diamond stripes surrounded by three color enamel stripes of your choice. 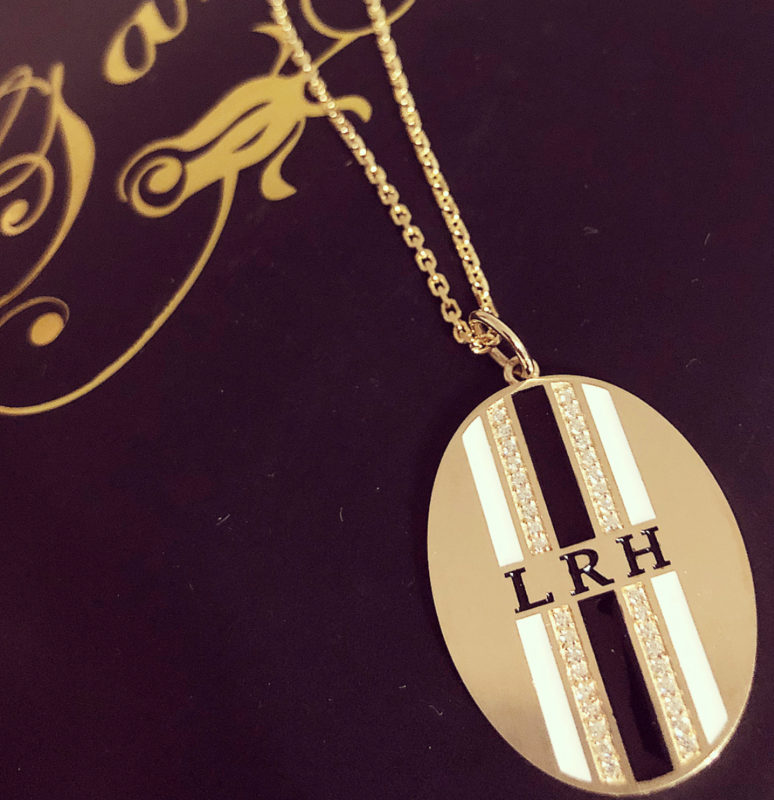 A modern heirloom, the medallion is thick and quite substantial in size. 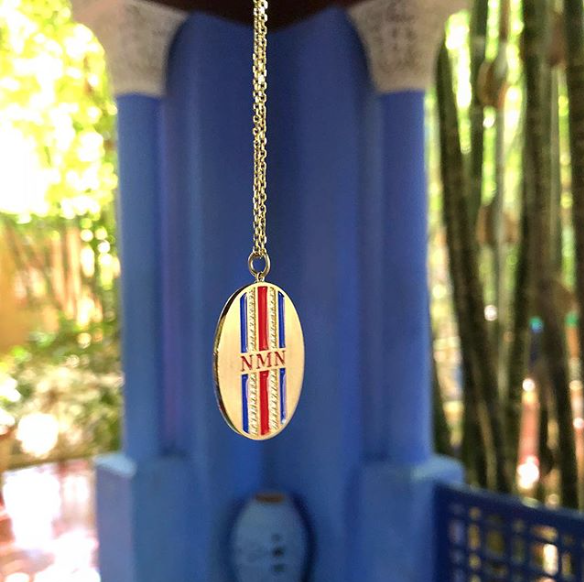 As all of our pieces are, each one is created by a master jeweler using old-world enamel techniques and meticulous diamond setting. 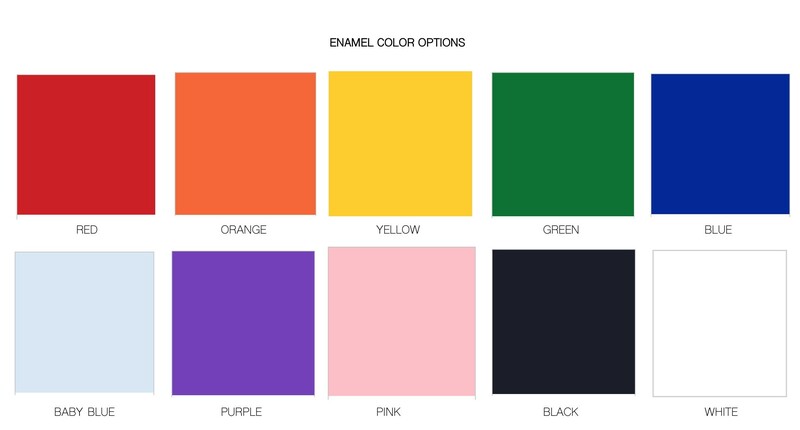 CHOOSE FROM RED, ORANGE, YELLOW, GREEN, BLUE, BABY BLUE, PURPLE, PINK, WHITE AND BLACK ENAMEL. ANY 2-3 LETTERS OF YOUR CHOICE. FOR ADDITIONAL LETTERS, PLEASE EMAIL US AT INFO@GARLANDCOLLECTION.COM SO THAT WE MAY ACCOMODATE YOUR CUSTOM INQUIRY. This medallion comes standard on a 24" thick, classic cable chain as seen in the second image. 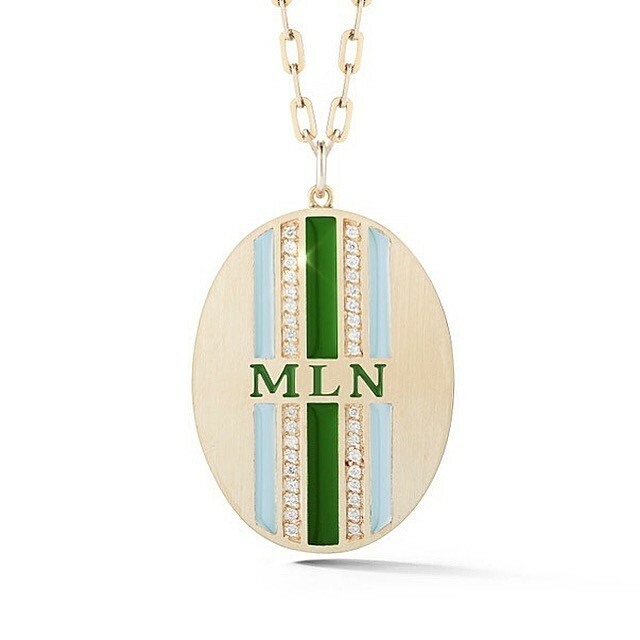 To upgrade to the elongated rectangle chain in Green & Baby Blue stripe piece, simply select this option from the menu.